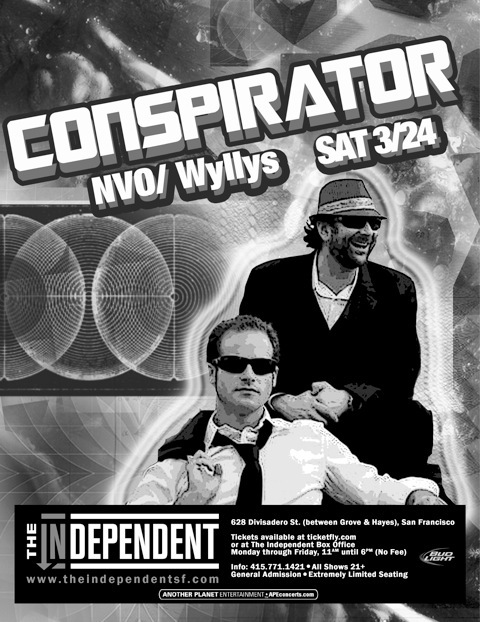 This past Saturday night, San Francisco’s trendy, intimate club ‘The Independent’ hosted a serious electronic gathering including Conspirator, Orchard Lounge, Wyllys, and NVO. Suprisingly, the club wasn’t packed to the gills and the crowd was in good spirits for a serious EDM dance party with lots of bay area freaks in attendance. Unfortunately, WTN didn’t make it in for NVO or Wyllys, but we caught both OL and Conspirator and can report that both threw down hard for the SF fans. To get a taste of Wyllys, check out this full set of his + J-Ha and Chainsaw at Sullivan Hall. Orchard Lounge laid down a spirited high-energy set that saw the three-DJ team tag off and on and even tag team on a few tracks, rarely stopping the music. 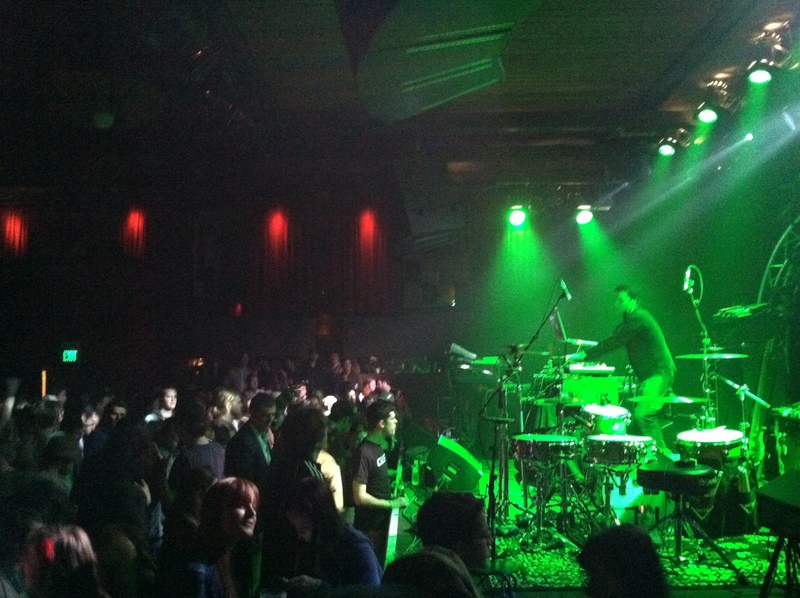 For the most part, they kept the beats upbeat and accesible, with mid to fast tempo bass-heavy house and funk grooves. 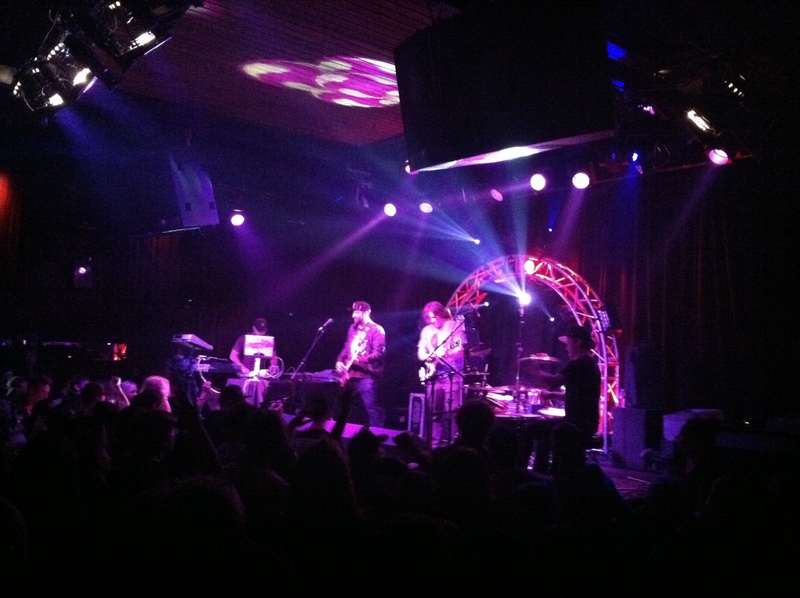 After a very, very solid set that warmed everybody up, OL introduced Conspirator round’ midnight. Brownie, Magner, Michetti, and drummer-for-the night KJ Sawka took the stage, Brownie spoke about his love for SF, and they launched into an all out, nearly 2-hour long assualt of banging beats, slick guitar riffage, and some solid jams and comical banter from a clearly ‘loose’ Brownie. The focus this night was on rock and guitar heavy ‘bangers’ (including a take on Tom Saywer), with a little less Biscuits-style jamming then I’ve seen in the past. This seemed to mesh well with OL’s set and kept the energy high throughout their time on stage. The performance was energized by the dynamic and impressive drumming of KJ Sawka – he really got down and dirty and wasn’t afraid to show off. The band as a whole definitely seemed to be locked in and excited about the music they’re writing and performing these days, and Michetti looks to be getting a lot more comfortable letting go and shredding. The MVP of the performance, however, had to be Aron Magner, who really seemed to be running the show and directing the band at many points throughout the night. All in all, a sick night of EDM madness in SF! You can check out Conspirator on tour this spring/summer or pick up their new live DVD.